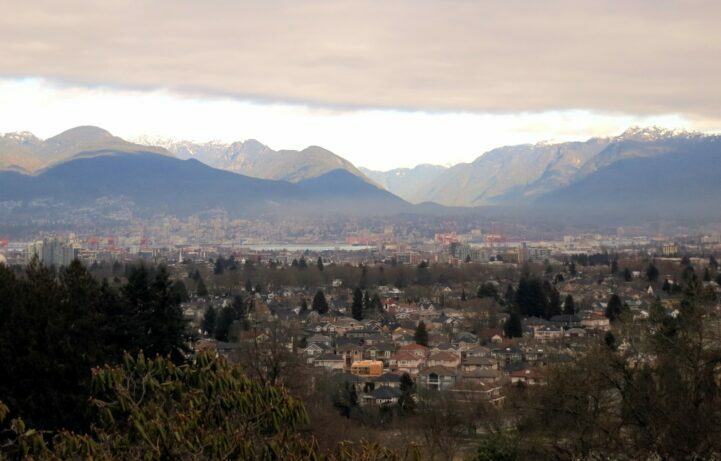 Greater Vancouver’s detached real estate market had a rough start to fall. Real Estate Board of Greater Vancouver (REBGV) numbers show nearly every major market indicator deteriorate in September. Generally speaking, the detached market saw lower prices, plummeting sales, and higher inventory. The price of a typical detached home is getting cheaper in Greater Vancouver. REBGV reported a benchmark price of $1,540,900 in September, down 1.3% from the month before. This represents a decline of 4.5% when compared to the same month last year. That works out to $20,100 cheaper than the month before, or $76,400 cheaper than last year. While agents are probably shrugging it off, that’s kind of a lot of cash for regular folks. The bad news is this could get worse, considering the direction of the trend. The 4.5% annual loss is larger than it was last month, and a big change from last year. Detached prices have been falling in the city for some time, but across the region is relatively new. This is the third consecutive month we’ve seen declines get larger. Sales of detached homes in across Greater Vancouver continue to fall. REBGV reported 502 detached sales in September, down 9.87% from the month before. The decline works out to a drop of 40.38% when compared to the same month last year. A month-over-month decline in September is normal, but usually not this large. The decline is still notable, since the industry expected sales to rise in the second half of 2018. It’s still unclear why they expected sales to rise without a change to fundamentals, but they did. The number of newly listed detached homes is on the decline. REBGV reported 1,974 new listings in September, up 34.92% compared to the month before. The monthly increase was still a little light, with new listings falling 17.02% lower than last year. The decline didn’t stop inventory from continuing to build. Total detached inventory is much higher than last year. REBGV reported 6,435 active listings in September, up 4.41% from the month before. The increase is works out to an increase of 10.28% compared to last year. The drop in sales was so significant, fewer new listings couldn’t stop the rise. Lower sales and higher inventory pushed the market further into a buyer’s market. The ratio in September hit 7.8%, a decline of 46.57% from last year. When the ratio falls below 12%, the market generally expects prices to decline. Prices don’t typically rise again until the ratio rises above 20%. Some people have blamed demand side measures such as the “school tax,” on the decline of detached sales. While that’s an adorable theory, it doesn’t really make sense – the typical detached home isn’t subject to the tax. Unless people are afraid of their home suddenly doubling in price soon, it probably has little impact on people actually looking to buy. Instead, most of the trend is likely due to rising inventory and declining sales, while rates rise. Is it me or is this comments section quieter than a West Vancouver open house? 😂 I noticed Vancouver articles have smaller comments, but I think it might be since there’s so many other places to discuss the article. where are all the dudes saying that there is too much “wealth” for this to happen? Here’s a comment from Vancouver, in fact… from Point Grey – the most referred location of the entire BC, as it’s the neighbourhood of UBC. I rent a small house here build over 50 years ago. I constantly fight the mold that is in every board and nail in this house. Recently we asked the owner how much he would sell the place for? He showed us the city estimate – the value of the house $25,000 & the value of the land $ 2,8000,000 for a bit of land with the detached garage. I get it that the land in the heart of the city could be that expensive. After all, a few houses like this provide enough ground to build a condo, even a modest 4 store high. But NO, the city will NEVER approve increase in density. Thus, only same residential house could be build on that same lot. But who’s going to buy it if it costs the developer to buy the old moldy house $3,000,000 + another $1,000,000 to build the same house but modern “open concept”+ all fees and real estate agent commission? That comes to over $4,000,000 for a still small house! It just doesn’t make sense! The result is – I go for a run almost every day and see that 60% of houses I run by are OLD, MOLDY, SHABBY, disrepaired SHACKS that needs to be removed like 20 years ago. When the house is build in Canada, especially in BC damp climate where it rains non-stop all winter long – the house’s life spam is only 25, 30 years. If you try to “renovate” an old moldy place- you’ll have to strip it to the boards and rebuild all over again. That will cost just as much as building from 0. I don’t understand how OLD, SMELLY, run down houses go up in price in Vancouver. Is MOLD that expensive?? ?